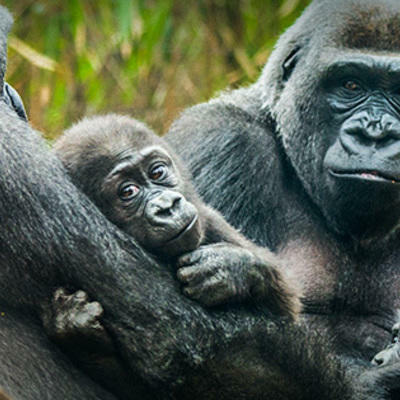 Catch up on the past seasons of THE ZOO and relive your favorite moments. You can watch new episodes Sundays at 8pm on Animal Planet. We’ll see you inside the zoo! On the season finale of THE ZOO, you got another look at how the Bronx Zoo impacts conservation around the world—whether working to stop deadly bird strikes with glass in cities like New York or bringing Kihansi spray toads back in Tanzania. 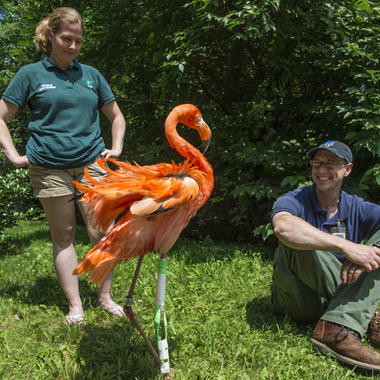 Bronx Zoo Director Jim Breheny took a few minutes to tell us more about the important work conducted on these projects. 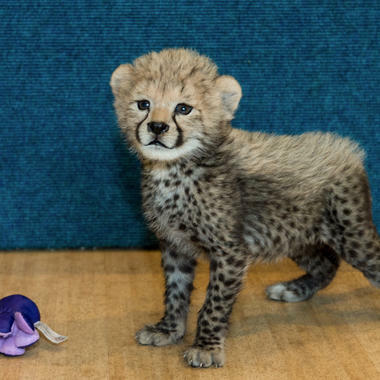 As you may have learned on this week's episode of THE ZOO, roughly a decade ago, an orphaned snow leopard cub came to the Bronx Zoo from Pakistan. Leo's mother was killed and he was too young to survive on his own in the wild. 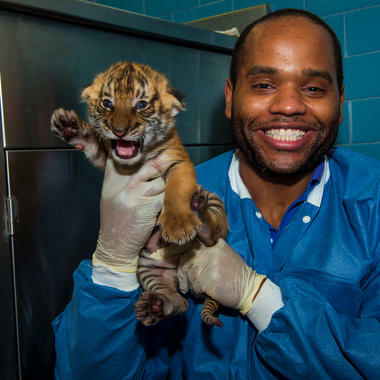 In the Bronx, he quickly became a conservation ambassador, representing an endangered species, as well as a crowd favorite. 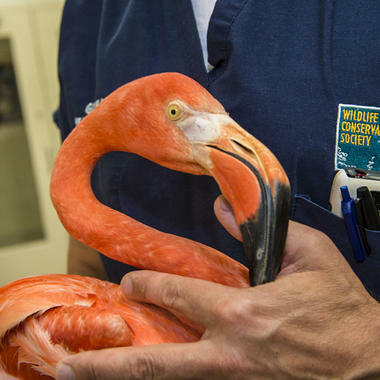 His acquisition was also significant for the Association of Zoos & Aquarium's Species Survival Plan, as we recently heard from Bronx Director Jim Breheny. From the archives, these are just a few of the more than 70 snow leopard cubs we've bred at the zoo over the years, as participants in this effort. Our connection to the species dates back even further, too. In 1903, the Bronx Zoo became the first zoo in the U.S. to exhibit these big cats. Much like the city itself, New York's waters are incredibly diverse. While we know there are sharks here, we're still learning about their behavior. 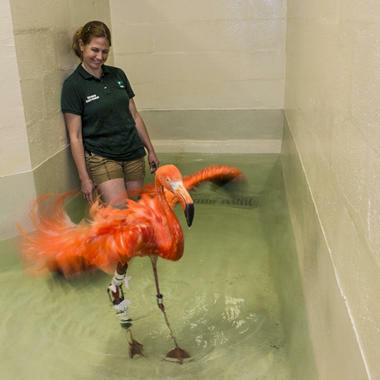 Getting to know underwater wildlife can be tricky so WCS scientists rely in part on electronic tags to follow their movements, like you saw this week on THE ZOO. Sharks may have a fearsome reputation, but they need our help now more than ever. Gathering information will help inform conservation work and ensure a future for these magnificent animals. Our New York Aquarium and field conservation teams have joined forces to study the New York Bight, from Montauk, NY, to Cape May, NJ. One reason we can have such an impact in saving species around the world is that we harness the power of our four zoos and our aquarium—the Bronx Zoo, Central Park Zoo, Prospect Park Zoo, Queens Zoo, and New York Aquarium—and our global field conservation program, which works to save wildlife in nearly 60 nations and all the world's oceans. That includes right here in New York. Check out this footage of sharks off the coast of New York shot by our New York Aquarium scientists. 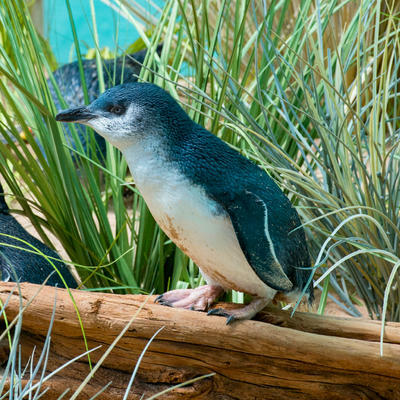 What's even cuter than a little blue penguin? 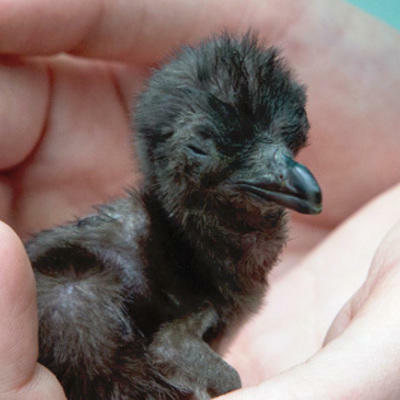 A little blue penguin chick. You got to see ours on this week's episode of THE ZOO. JP's doing great and on exhibit in the Aquatic Bird House. You can plan a trip to see her. If you need any convincing, check out the video below of her cute and all grown up. Share the little penguin love and download a cover photo for your Facebook profile! Since the show was filmed, Dinky's been off exhibit undergoing rehabilitation to get back in shape. Check out some photos from the process, and the dedicated staff (some of who you may recognize) that are helping her. This week on THE ZOO you met our herd of bison, a group of which we're particularly proud. 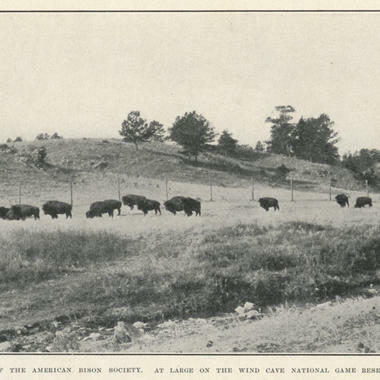 The bison is not only an American conservation success story, but one the Bronx Zoo played a large part in. 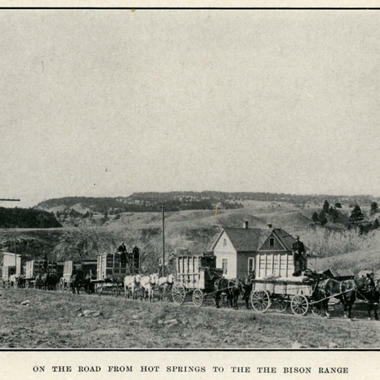 In 1913, the zoo (referred to then as the New York Zoological Society) shipped 14 bison to Wind Cave National Park in order to increase their population numbers in the United States. Photos from the archive, below. This past November, the Bronx Zoo received the gift of eight purebred animals from the Fort Peck Assiniboine and Sioux tribes, the first transfer from a tribe to a zoo. These eight bison will help us continue to breed animals for restoration in the west. 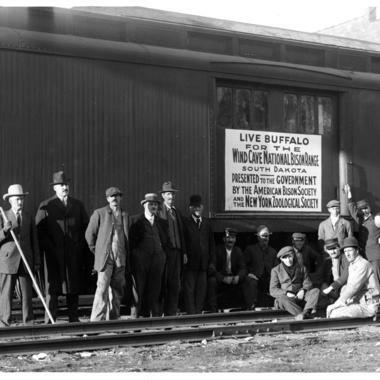 It's a long history we're proud to be a part of. 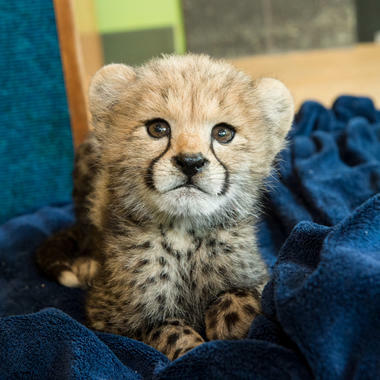 We were excited to share our cheetah ambassador program with you on THE ZOO. 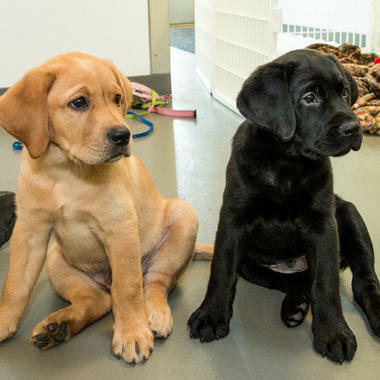 Although our cats and dogs aren't ready for the public yet, we couldn't resist a moment to reflect on the progress they've made. Plus, they're pretty darn cute. Many of you have reached out about the animals featured on the show. 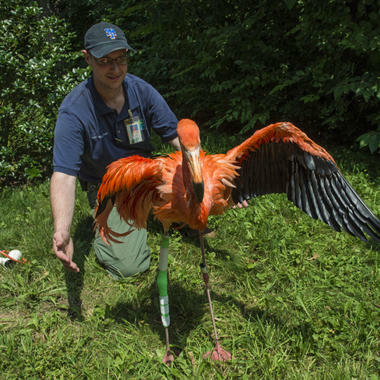 For those who missed it, Bronx Zoo Director Jim Breheny gave a few updates on Twitter. 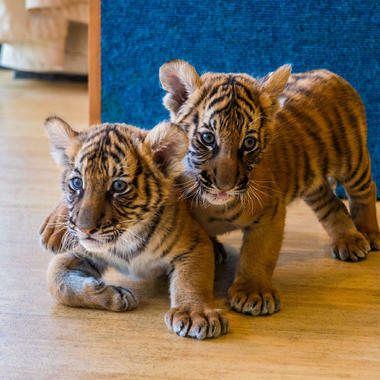 Malayan tiger cubs, that is. 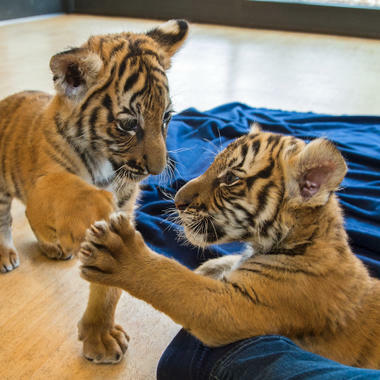 Only about 250 of these tigers are left in the wild, so the cubs here at the Bronx Zoo, females named Nadia and Azul, are especially important to the species' survival. You heard their story on this week's show and we're giving them an encore. If you've already fallen for them, check out their appearance the TODAY show below. 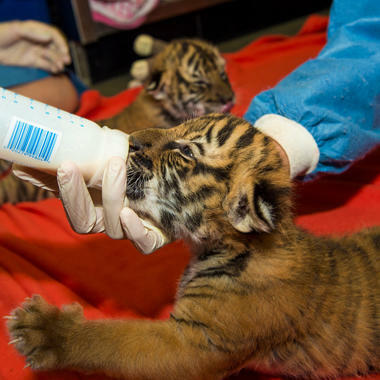 The images and footage here are from the tigers' early days at the zoo. 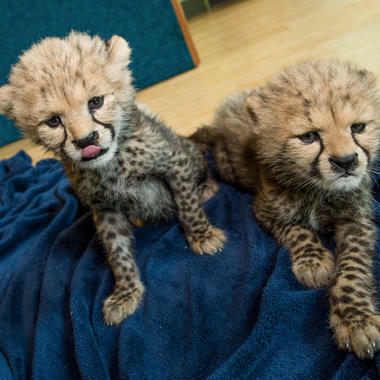 Following the cubs' birth, their mother was not providing suitable maternal care so Bronx Zoo keepers intervened and hand-raised the cubs until they were fully weaned. Come spring, be sure to visit in person and see how they've grown! Were you inspired by the gorilla story on this week's episode (and the Bronx Zoo's incredible team of professionals that give the gorillas year-round care)? Gorilla-fy your Facebook page with the download below.